Argos has extended its click and collect partnership with eBay to all business sellers – enabling customers to collect products from “a much wider range of eBay merchants” direct from Argos shops. eBay announced: “Following a successful operational trial, agreement has been reached for the extension of the collection service in order to build and test the proposition on a commercial basis. This extension will enable shoppers to pick up millions of products sold by eligible business sellers from over 650 Argos stores throughout Great Britain”. When the joint venture first went live in September, customers were able to collect products from 50 eBay merchants across 150 Argos stores. Speaking about the new service, Home Retail group chief executive John Walden (who was Argos managing director during the time of the launch), spoke of the potential partnership opportunities that could arise as a result of this venture. Walden said: “We think the unique capability that Argos has is distribution and store collection may become more and more relevant. There might be a model where Argos could provide these unique capabilities to others, traditional and online in the marketplace and that’s the purpose of the trial. 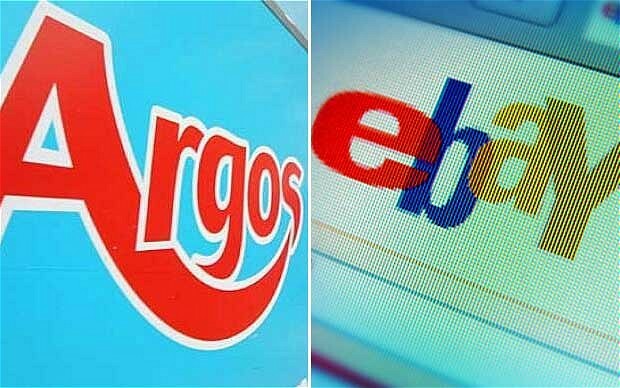 eBay will be releasing further details to eligible sellers in the next couple of months, but hope that by the end of the year an estimated 65,000 eBay sellers will offer products for collection at Argos – increasing to 80,000 in 2015.